In conjunction with the World’s Longest Yard Sale, which passes through Northside along US-127 aka Hamilton Avenue (and running from Michigan to Alabama! 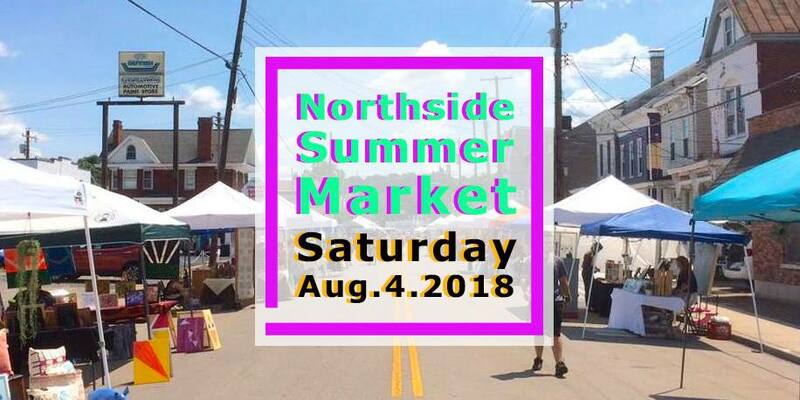 ), the Northside Summer Market combines the community-wide yard sale, at one central location plus neighborhood homes, with a marketplace for fine arts and crafts. Starting at 9am, Saturday August 4th, the art market portion will be located in the parking lot at the corner of Blue Rock Avenue and Apple Street. Here you’ll find food and beer vendors, along with creative vendors selling their handmade items, plus music and dancing til 9pm. Click here to see the YARD SALE MAP of yard sales at neighborhood homes, PLUS you can find a large concentration of yard saling at 1662 Hoffner. Additionally, there will be art installations around the neighborhood at artists’ homes, find locations and more information HERE. For even more information, visit the Facebook event, or direct your questions to nsm@parprojects.org. HERE’S HOPING FOR BEAUTIFUL WEATHER!